The UFC returns to Dublin, Ireland, on Oct. 24 for UFC Fight Night 76. The event marks the UFC’s third trip to Ireland. The last time the Octagon was in Dublin, Conor McGregor electrified the Irish faithful with a first-round knockout of Diego Brandão at UFC Fight Night 46 in a sold-out O2 Arena on July 19, 2014. McGregor won’t be fighting on Saturday night, but the Irish fans will show up in droves to watch the last man to beat him. That man, of course, would be Joseph Duffy. The 27-year-old Irish prospect will take a step up in competition early in his UFC career when he fights 26-year-old veteran and former top-10 featherweight Dustin “Diamond” Poirier. Duffy defeated McGregor quickly in a bout that took place almost four years ago at Cage Warriors 39. Duffy’s quick takedown and pass to side mount led to the eventual tap from McGregor, but the loss didn’t derail the Irishman’s potential. 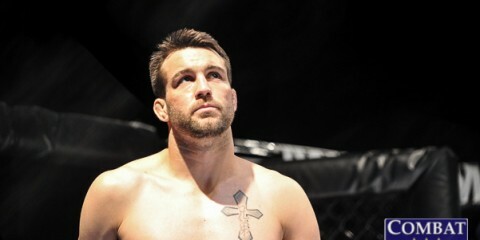 While McGregor started back on the winning track and worked his way toward the interim UFC featherweight title win against Chad Mendes at UFC 189 in July, Duffy left the sport after a title loss at Cage Warriors 45 in October 2011 to start a professional boxing career. Duffy went undefeated in his short-lived boxing venture, winning all seven bouts before returning to MMA action at Cage Warriors 70 in August 2014. Duffy finished his opponent that night and landed a spectacular knee knockout in his next fight at Cage Warriors 74, producing one of the best knockouts of 2014 on the same night that Fabricio Werdum put his knee through the chin of Mark Hunt to win the UFC interim heavyweight title at UFC 180. Duffy made his UFC debut on the heels of that incredible finish, but the McGregor win followed him into the Octagon as the talking point for media and fans alike before his bout at UFC 185 in March. Duffy gave everyone something else to talk about following his first-round destruction of Jake Lindsey. A beautifully timed lead-leg high kick was followed up with a devastating series of body punches that eventually put the Midwest native down. Duffy returned to Europe in his second UFC contest at UFC Fight Night 72 in July, where he took all of three minutes to dispatch of Brazilian Jiu-Jitsu black belt Ivan “Batman” Jorge with a submission of his own. 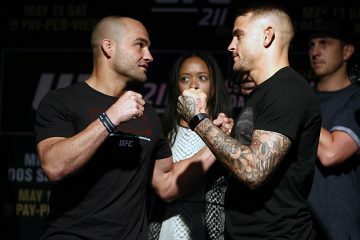 The quick victories garnered a step up in competition for the lightweight fighter, which is exactly what Dustin Poirier will bring to the main event in Dublin. Poirier entered the Octagon for the first time on New Year’s Day in 2011. 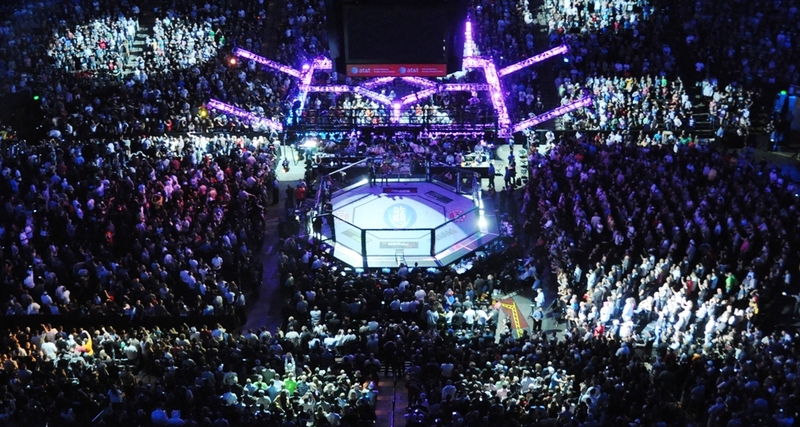 The UFC absorbed the roster and weight classes from the World Extreme Cagefighting promotion after the company’s final event on Dec. 16, 2010. With the addition of the featherweight division, an opportunity opened for the Louisiana-bred Poirier to drop down to 145 pounds to take on potential title challenger Josh Grispi. Poirier took advantage of the move, defeating Grispi in a back-and-forth, three-round fight at UFC 125. The debut win was not only an upset over a fighter who was potentially scheduled to meet featherweight champion José Aldo, but the fight set the tone for Poirier’s “action” career with the organization. Poirier continued to defeat everyone set in front of him until he met “the Korean Zombie” Chan Sung Jung at UFC on Fuel TV 3 in May 2012. Jung was able to expose the risk-averse offense of Poirier and use his aggression against him, locking in a fight-ending D’arce choke that left the surging featherweight prospect unconscious. While Jung earned a shot at Aldo’s title, Poirier had to work his way up the rankings once again. 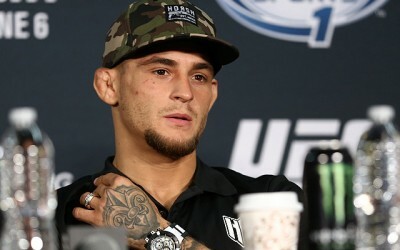 Poirier won four of his next five bouts, finishing three of his opponents while losing only to fellow top-10 featherweight Cub Swanson in February 2013. The main eventers’ storylines crossed at UFC 178 on July 27, 2014. While Duffy had defeated McGregor before his meteoric rise to UFC fame, Poirier was just another stepping stone along the way for the rising McGregor. McGregor put Poirier away in under two minutes when a left hook clipped the back of the head, leading to the referee stoppage in round one. The win only further cemented McGregor’s place as a top featherweight while the loss forced change from the American Top Team fighter. Poirier returned to the Octagon at UFC Fight Night 63 in April, this time as a lightweight. The change in weight class seemed like the best move for the young fighter. He found immediate success when he made short work of opponent Carlos Diego Ferreira, a world-class submission grappler. Poirier put his hands on the Brazilian and put him to sleep in the very first round, a result he would earn again in his next fight against Yancy Medeiros at UFC Fight Night 68 in June. Poirier needed just two and a half minutes and a few heavy strikes to finish the Hawaiian lightweight in the first round. In a battle of two of the top fight camps in the world, Poirier is sure to give Duffy his toughest test to date in the main event on Saturday afternoon. The loss of the original co-main event between top-10 heavyweight fighters Ben Rothwell and Stipe Miocic made way for hometown favorite Paddy Holohan to potentially shine in front of his countrymen. Holohan has the opportunity to move his UFC winning streak to three, as well as to avenge his countryman Neil Seery’s loss to Louis Smolka in the Hawaiian’s last fight at UFC Fight Night 72 in Glasgow, Scotland. Smolka can move his winning streak to three with another upset in enemy territory, a feat the Hawaiian flyweight has become accustomed to in his UFC career. The preliminary action will air live at 1 p.m. ET on UFC Fight Pass. Following the seven-bout prelim card is the four-bout main card, which is set to begin at 4 p.m. ET on UFC Fight Pass. Combat Press writers Chris Huntemann and Zach Aittama preview the event in this edition of Toe-to-Toe. The lightweight showdown between Dustin Poirier and Joseph Duffy is a sneaky-good headliner. In one corner, there’s Poirier, who floated around the lower half of the featherweight top 10 for quite some time before losing to Conor McGregor and then shifting to the lightweight division, where he has quickly impressed with two first-round finishes. In the other corner, there’s Duffy, the last man to beat the aforementioned superstar McGregor. Duffy is also riding a streak of two first-round finishes inside the UFC’s Octagon. Is this fight the UFC’s attempt to fast-track Duffy into a rematch with McGregor, or is Duffy just the next victim on Poirier’s rapid ascent up the lightweight ladder? Huntemann: I’m going to be honest. I don’t have UFC Fight Pass (gasp! ), but this card doesn’t convince me any more to order it. Poirier is an exciting fighter and has delivered as a headliner before — his bout against Chan Sung Jung in 2012 was absolute gangbusters — but the only reason why he and Duffy headline this card is because of McGregor. Yup, I said it. McGregor’s astonishing success gave the UFC yet another reason to try to break into the Irish market. Duffy is the last guy to beat McGregor, though that happened years ago and McGregor has vastly improved since then. It’s a shame Stipe Miocic is injured and they had to postpone his fight against Ben Rothwell. No offense to Poirier and Duffy, but I would have been much more interested in that fight as a headliner than I am for Poirier’s clash with Duffy. If Poirier wins, he beats a fighter he was supposed to beat and continues to re-establish himself at lightweight. If Duffy wins, it’s a huge upset that boosts Duffy’s stock and probably sways UFC President Dana White to give Duffy a fight with McGregor way before he is ready. Don’t believe me? See: Holm, Holly. Meanwhile, a loss sets Poirier back and probably puts him in permanent gatekeeper mode. Aittama: On the matter of UFC Fight Pass, yes, I do indeed put out my $9.99 every month for a subscription. Even If I wasn’t a fan of watching past fights or using the product to research fighters and fights for predictions, I would probably still subscribe. I believe the 10 bucks a month is right about what your investment is worth with the live content, fight database and growing regional-promotion presence on the network. All of that aside, let’s talk about the fight. While I do believe Poirier could be considered the favorite with the structure of rankings in mixed martial arts, this main event is primed to be one of those fights where the “prospect” (which is actually the older man in this case) shows he has bridged the gap between himself and his higher-ranked opponent. Poirier has only lost to top fighters in his 22-fight career, making this the contest to tell us exactly where Duffy is in his development as a top-level fighter. A further obstacle to Poirier’s path to victory will be the fact that this fight will be fought in Duffy’s home country and take place in a weight class where Poirier has only fought twice during his UFC tenure. Then consider the opponents who have given Poirier trouble in the past: opportunistic power punchers with sustained pressure. I might as well have typed Duffy’s name in that space. The Irish boxer loves to use forward pressure to land his strikes in combination. Duffy adds another element to the mix that has given Poirier trouble in the past: a somewhat overlooked grappling attack that mixes a traditional Japanese ju jitsu arsenal with an aggressive submission offensive. Technically speaking, Poirier likely has the better overall grappling. However, his aggressive style not only leads to dramatic submission wins, but also to lost positions and getting put on his back. This is an area of the fight Poirier will need to avoid if he plans on defeating Duffy in the five-round main event. All of the obstacles facing Poirier can be overcome with one shot, as he employs power in his strikes. While Duffy has shown to have a good chin and good defensive ability on the feet, he can be pushed while on his back foot. 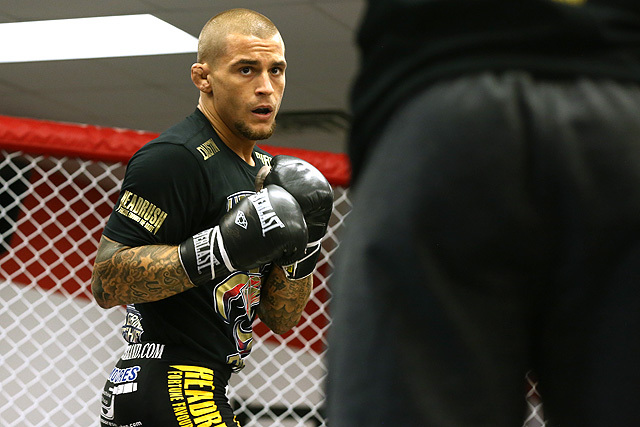 Poirier has a very aggressive style, often putting his head in front of his lead leg. That’s a big mistake with a heavy-handed striker, but a mistake that the American tends to get away with by using head movement and his ability to just sneak out of range of his opponent’s counter striking. A key technique for Poirier in this fight is the left inside and lead right leg low kick. The latter he can use to set up his counter left straight, and the former he can use to take Duffy off of his potentially heavy lead leg. The inside left leg kick will be a dangerous game of timing, as Duffy consistently looks to throw his right hand straight through his opponent’s strikes. While this fight could easily end at any point, it could break into the championship rounds if both men are at the top of their game. Yet, it’s hard to imagine a scenario where the fight doesn’t get finished somewhere within 25 minutes of non-stop action. This is a fight that either man could take, but I’m taking the hometown favorite in this match-up of high-level lightweights. Duffy finishes Poirier to the applause of the Irish fans at the 3Arena. The other big fight on this show was supposed to be a heavyweight clash between contenders Stipe Miocic and Ben Rothwell, but Miocic sustained an injury and the UFC couldn’t find a new opponent for Rothwell. 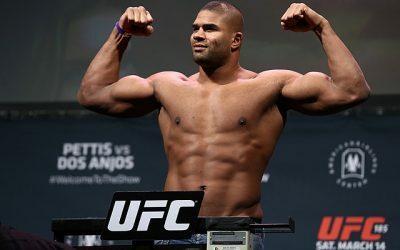 What heavyweight fighter would you have liked to see the UFC shuffle in as a late-replacement to save the booked heavyweight fight and maintain the strength of the UFC Fight Night 76 lineup? 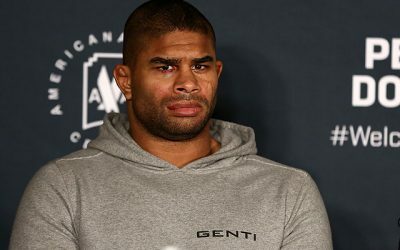 Aittama: While losing Miocic/Rothwell bout hurts the name power of this card, the lineup wasn’t exactly tailored for the American fan in the first place. Take a look at the fight card from top to bottom. This is a card that features high-level European fighters looking to make a name for themselves inside the Octagon. The talent is widespread on the card and for the sake of the Irish fans, they’re not missing out on too much from Rothwell being moved. There are two major benefits to pulling Rothwell off of the card instead of forcing a late replacement opponent to fight a top-10 heavyweight. Rothwell will now be an alternate for the UFC on Fox 17 co-main event between Junior dos Santos and Alistair Overeem on Dec. 19. It serves as a little bit of insurance for that card if either Overeem or dos Santos were to get injured. An injury scrapped the potential bout on two separate occasions in the past, at UFCs 146 and 160. While everyone is hoping and cheering for the two heavyweight strikers to meet in the co-headliner in December, the UFC made the right call to put an insurance policy in place should the unthinkable happen. The second benefit to the move is that it saves the UFC from throwing Rothwell into a “meaningless” bout against a late-replacement opponent on only two weeks’ notice. Why risk one of the very few top-level heavyweights in the world for a fight card that has a solid lineup of potentially exciting fights? While I believe the move was the right one, I’m sure both Chris and I could come up with some interesting names to have potentially thrown into the Octagon. Most of the high-level European heavyweights are locked into contracts with Russian-based M-1 Global or top Polish promotion Konfrontacja Sztuk Walki (KSW). There are a few names that could have made for intriguing match-ups with Rothwell in a potential short-notice affair, though. One fighter that stands out immediately is former Bellator heavyweight champion Vitaly Minakov, a man who is still unbeaten in his 16-fight professional MMA career. Pride veteran Sergei Kharitonov has bounced back and forth between the kickboxing ring and the cage in recent years, but he could have been a potentially exciting match-up for however long the fight lasted. 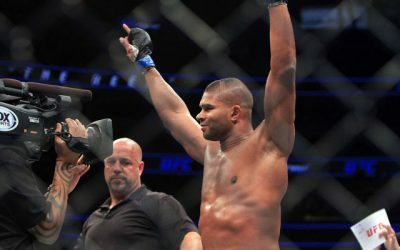 However, the man the UFC should have picked up to replace Miocic is heavyweight kickboxer, boxer and MMA fighter Tyrone Spong. Spong has long awaited his shot inside the UFC’s Octagon since debuting in MMA at World Series of Fighting 1 in November 2012. The world-class kickboxer and former GLORY light heavyweight champion has shown a desire to be a three-sport world champion. He began his boxing career with two brutal first-round knockouts in early 2015 after leaving GLORY due to a contract dispute and leg injury in 2014. The self-proclaimed “Moneyweight” is awaiting his next big opportunity to prove himself as a top-caliber combat-sports athlete. This card could have been that shot. Instead, the vaunted striker — with over 70 wins in his kickboxing career — will make his return to MMA at WSOF 26 on Dec. 18. Huntemann: On the contrary, the loss of Miocic/Rothwell was a huge (no pun intended) blow to this card. The fight could have probably served as a title-contender eliminator as we wait for the rematch that no one asked for between Fabricio Werdum and Cain Velasquez. Rothwell was beginning to adopt a more entertaining persona, and Miocic probably should have been given a title shot already. Having a heavyweight No. 1 contender bout on Fight Pass could have done wonders for the online product, so it’s a crying shame we will have to wait a little while longer for that fight. Who should have stepped in for the injured Miocic? Well, Matt Mitrione openly begged and pleaded for a rematch with Rothwell on Twitter. Depending on who you believe, either Rothwell turned him down or the UFC never offered Rothwell the fight in the first place. Even though Mitrione lost to Rothwell in just under two minutes in their first meeting, it was basically a product of Mitrione being overaggressive and putting himself in a bad position. 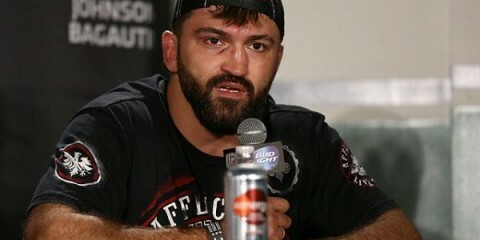 That wasn’t Mitrione’s best effort, and he deserved another shot at Rothwell. Their first meeting was on its way to being an entertaining one, though. Plus, doesn’t UFC President Dana White absolutely adore fighters who step up on short notice? In a potentially action-packed flyweight co-main event, hometown favorite Paddy Holohan returns to the Octagon to take on Hawaiian striker Louis Smolka. With both men carrying a two-fight winning streak heading into the match-up, the bout could potentially move one man into the top 10. Who moves up the ranks and earns his third consecutive win inside the Octagon? Huntemann: I’ll admit to not knowing a whole lot about Holohan, beyond the fact that he’s Irish and he won a fight on the same card as Conor McGregor’s victory over Dennis Siver. However, I am picking the Irish fighter to win this fight. Why do I like Holohan? Well, he’s won three out of his four UFC appearances, including a first-round submission victory over Josh Sampo. He only has one loss overall. Smolka has also won three of four, though, so this seems like a pretty even match-up. Call it a hunch, or a flip of the coin. Or maybe it’s the fact that I think home-field advantage will play a pretty big role here. Either way, I like Holohan to emerge victorious. Aittama: This certainly is a battle of well-rounded flyweight fighters on the fringe of the UFC’s top 10. Holohan made his UFC debut in Dublin in July 2014, upsetting the then highly ranked Josh Sampo with an early knockdown that subsequently led to the rear-naked choke finish. The man with the fans behind him will most likely look to take this fight to the floor if his striking offense doesn’t come to fruition. Smolka lands at almost twice the volume of the “Hooligan,” which very likely could lead to the fight hitting the floor. While Smolka is well versed in all areas of mixed martial arts, he has been susceptible to takedowns in his previous UFC bouts. 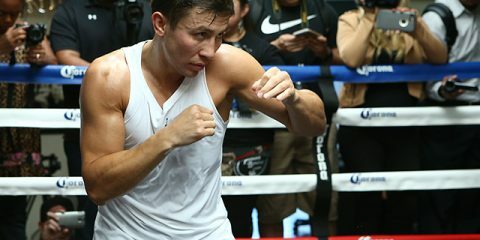 He is willing to attack off of his back, but he won’t want to spend a ton of time fending off punches while the crowd is screaming for their local fighter to pound the back of his head into the canvas. Smolka will be carrying a bit of confidence heading into the bout after having defeated Holohan’s countryman Neil Seery in his last outing at UFC 189. Smolka crumbled hometown favorite Richie Vaculik with a front kick to the chin in his previous bout at UFC Fight Night 55 in November 2014. The only loss of the former PXC flyweight champion’s career came when Chris Cariaso ground him down against the cage in a bout that divided the three judges at UFC Fight Night 40 in May 2014. This is a fight that deserves a slot on a UFC main card, especially one that will be embraced by the hometown fans in the arena. The potential for excitement is high in this flyweight contest. Expect the fans to be involved in a back-and-forth affair. Smolka needs to push Holohan to the edge and then make sure he firmly takes control of this fight if he hopes to break into the top 10 of the UFC rankings. Smolka will come into Dublin and get the minor upset after a close fight. Where does Dustin Poirier go from here? Duffy represents a fighter Poirier should beat with relative ease. Poirier has won two in a row in the first round since returning to lightweight, so a loss to Duffy would be crippling while a win probably doesn’t bring him any closer to a title shot. Was Poirier wise to take this fight? Should he have bided his time instead until an opening appeared in the logjam that is the UFC’s lightweight division? Aittama: Win or lose, Poirier has already proven himself as a top-level fighter in both the featherweight and lightweight divisions. He always brings it, fight in and fight out. He is exactly the fighter the UFC wants in the organization and, at only 26 years old, he will stay in the UFC whether he gets by Duffy or not. However, the recipe is there for this fight to be a setback in his career. The style of his opponent, the size disparity and the roaring Irish fans make this a difficult obstacle to climb for Poirier. He is a talented fighter who could absolutely walk into the Octagon and put Duffy away in under one round, but he is also a fighter that overextends himself in the pursuit of the finish. That’s a tendency potentially paramount in determining whether or not Duffy has the opportunity to dust Poirier with a counter strike. If Poirier has one of the best performances of his career, he certainly makes a case to enter the top 10 at lightweight. If he loses this bout, however, I don’t believe he slips far off from his current position. Yeah, he may fall outside the UFC’s top 15, but he could easily re-enter the rankings with another impressive victory. So, whether or not Poirier gets the victory, he will remain a top-level fighter. Huntemann: You can’t blame Poirier for taking this fight, really. He needs to eat and pay his bills. This should be a relatively easy payday for him, too, as he’s faced — and beaten — better competition than Duffy. While Duffy seems like a plenty talented fighter in his own right, I don’t think he is on Poirier’s level, especially with how Poirier has performed since moving back up to 155 pounds. Poirier does need to be careful, though, because this environment is perfect for an upset. The Irish fans are absolutely rabid, especially in supporting their own countrymen. They will be going absolutely bonkers for Duffy — not unlike they did when Poirier faced McGregor last year (even if that was in Las Vegas and not Ireland). You know Duffy is going to be plenty motivated to put on a show. Can Poirier keep his cool? He came into his fight against McGregor way too amped up and ended up getting beaten rather handily. Duffy isn’t the trash-talker that McGregor is, but Poirier can’t let the environment get him riled up either. If Duffy pulls off the upset, Poirier may have wished he waited for another opening to come down the pike at lightweight. A loss here may put Poirier’s title hopes permanently on ice. 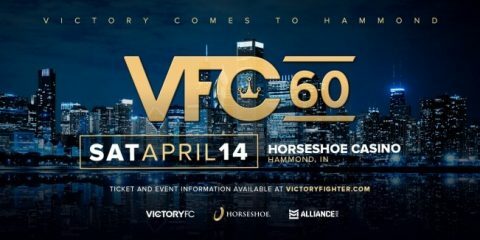 Huntemann: I’m not sure why the match-up between Darren Elkins and Robert Whiteford hasn’t gotten more publicity and isn’t higher on the card. Did you know that Elkins has been competing in MMA since 2007 and has been in the UFC since 2010? His fight against Whiteford will actually be his 13th in the organization. That’s pretty impressive. 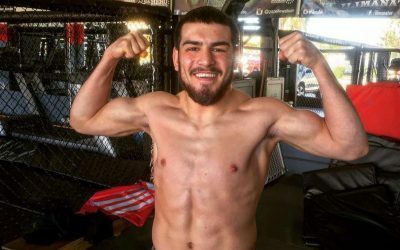 Elkins has also faced some of the best fighters from the lighter weight classes, including Duane Ludwig, Charles Oliveira, Diego Brandão, Chad Mendes, Hatsu Hioki and Jeremy Stephens. Unfortunately, Elkins is on a two-fight losing streak, so his 13th fight may not be a lucky one if he comes up short again. Meanwhile, Whiteford is 10-2 overall and has won two in a row, including a first-round TKO victory over Paul Redmond in his last fight. You have a guy in Elkins who might be clinging to his UFC career, while Whiteford is probably eager to show he belongs with the big dogs (relatively speaking) in the featherweight division. Desperation vs. Ambition. That smells like a recipe for an exciting fight, if you ask me. 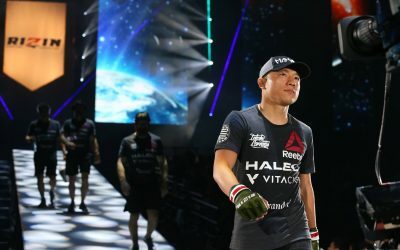 Aittama: With plenty of potential picks for sleeper fight of the card, a fight between unbeatens Darren Till and Nicolas Dalby is intriguing, but the fight that could lead to the most fireworks is the flyweight showdown between Neil Seery and Jon Delos Reyes. The Dublin-native “2 Tap” Seery has been fighting in mixed martial arts for over a decade. He has fought the highest level of competition in Europe for over eight years. Seery earned his shot in the UFC after winning the vacant Cage Warriors flyweight title at Cage Warriors 55 in June 2013 when he submitted Mikael Silander in the third round. He debuted at UFC Fight Night 37 against longtime UFC and WEC veteran Brad Pickett. Despite the loss, Seery was able to damage the English fighter throughout the bout, forcing Pickett to use his wrestling to win. Seery used his aggressive boxing to earn UFC victories against Phil Harris and Chris Beal, handing Beal his first professional defeat. Seery did fall short in his last bout against Louis Smolka in July. The fighter standing across the cage will enter European territory for the first time. Guam’s Delos Reyes will be making the trip to Europe in his fourth bout with the organization. After putting together a respectable record in the Asia-Pacific region, Delos Reyes made his UFC debut against Dustin Kimura at UFC Fight Night 34 in January 2014. Reyes showed some promise in his brief time in the Octagon before Kimura wrapped up a fight-winning armbar. His next opponent wouldn’t get any easier. Delos Reyes was given future flyweight title challenger Kyoji Horiguchi in Horiguchi’s home country at UFC Fight Night 52. Horiguchi ran through the tough Delos Reyes in under one round. Misfortunes aside, Delos Reyes showed why he was signed by the promotion at UFC Fight Night 66. He went toe-to-toe with Roldan Sangcha-an for eight minutes of absolutely non-stop action. The Irish fans might be surprised with the amount of fight that Delos Reyes is going to throw back at Seery, which will certainly make for an exciting fight. Aittama: Your scouting goggles. You probably don’t know what scouting goggles are unless you have been watching regional mixed martial arts for years. It’s the moment in time when you are watching, waiting for a prospect to show exactly what he or she is made of. This card is full of potential breakout performances. The first fight on the main card between Denmark’s Nicolas Dalby and England’s Darren Till is a battle of high-level European welterweights. Another welterweight clash with some potential pits hometown favorite Cathal Pendred against undefeated English prospect Tom Breese in a battle of former champions in Cage Warriors and BAMMA. Scottish prospect Stevie Ray takes on Frenchman Mickael Lebout in an exciting lightweight fight. I could keep going. The card is definitely packed full of scouting moments. Keep those goggles on or you may miss the next big prospect having the performance of a lifetime. Huntemann: A nice, tall Guinness. Yeah, yeah, I know. Stereotypes. But this card has already been treated roughly with the postponement of Miocic/Rothwell and the shuffling of a couple other fights. So you want to have something that goes down smooth while you watch some of Ireland’s best (presumably) duke it out. Plus, who just doesn’t love a good Guinness? But straight from the tap, mind you. Don’t fall for the can or the bottle.